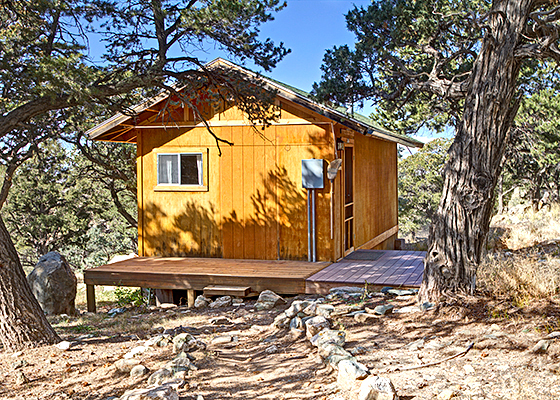 The Hillside Cabin is located on the west side of the campus overlooking the San Luis Valley. This is our nicest accommodation with its own private bathroom. Perks are a shower with a deep tub and handsome tiling. 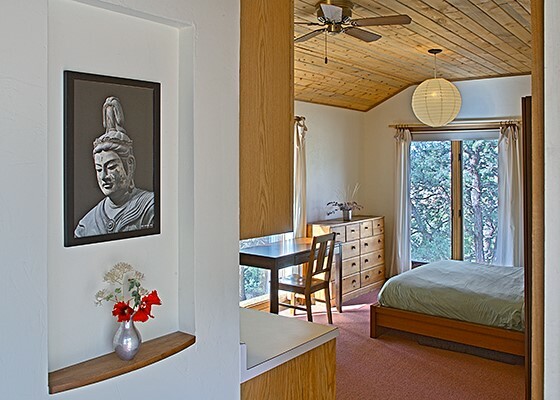 The main room has two large windows, a desk, dresser and closet, a queen-sized bed, and a kitchenette (sink and fridge, but no cooking facilities.) The cabin is in a low traffic part of the campus, though still part of the campus. Hillside Cabin can accommodate up to two people.